Thank you Ella for the following recommendation. This book looks fantastic and you’re right, I think I will enjoy it. I’ll keep a look out for it the next time I’m in the library or the bookshop. It’s has had great reviews from Lovereading4kids.com with praise from both adults and children. Their recommended age for this book is 9+. I love the review from the New York Times on the front cover! 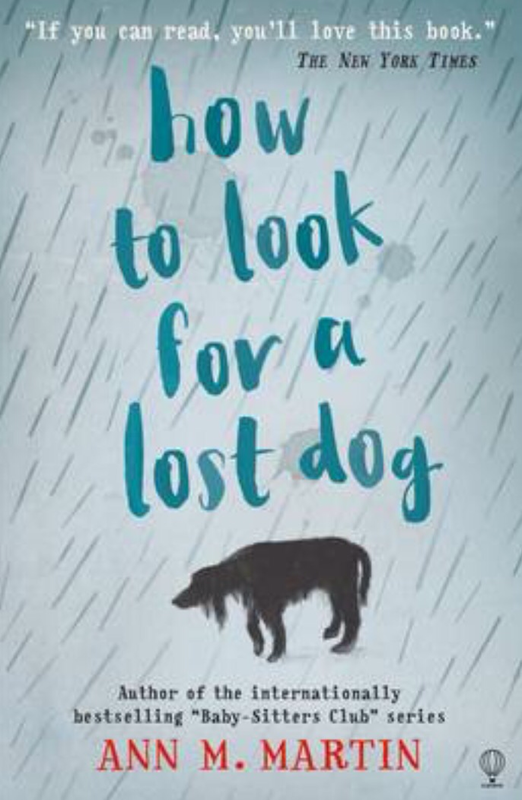 I recommend reading ‘How to look for a lost dog’ by Ann M. Martin. She is an amazing writer who has also written the baby-sitters club series. This book is about a girl called Rose who has a certain type of autism. She is obsessed with homonyms, prime numbers and rules. She has a dog called rain (who was found in the rain) who was brought home by her father with no identification, so they kept him. Soon a hurricain approaches and rain gets lost, luckily an animal shelter finds her but rain might not be able to return back to Rose. This books is brilliant and I definitely recommend that you read it. Next Post The never ending pile of books… Love it!